The Innovative Center for Personalized Learning (The “IC”) offers a variety of non-traditional learning experiences for students, staff, and community members. The IC seeks to meet the varied needs of our students as well as provide educational experiences that support the growth, development, and success of our staff and our community. Blending Learning Lab: SHHS students may take courses online or in a blended learning environment through Lincoln Learning Solutions. The lab provides a flexible learning environment and on-site teacher support for students who may benefit from a smaller or non-traditional setting. It also expands options for students who wish to take courses that are not offered in the traditional classroom setting. Student Local Business Tours: The IC will partner with local businesses and consultants to provide tours and workshops that ignite student curiosity in various areas as well as provide increased job readiness support to local businesses by providing students with firsthand experience with various job skill requirements. Online Course and Workshop Offerings: Each year the IC will select specific industry areas to provide course offerings and workshops through partnerships with surrounding educational institutions. The goal will be to increase student, staff, and community interest and knowledge in high demand industry areas. Faculty Externships (New - Coming Soon): A faculty externship is an activity that provides faculty an opportunity to assist, observe, and learn inside the workplace in order to apply that knowledge in the classroom. The externship can be project based or time spent with an employer to assess and/or improve processes, technology, or efficiencies. The IC will offer at least two faculty externships per year. 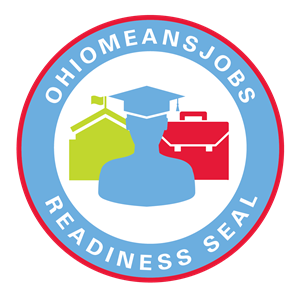 Career Prep Programs: SHHS has an agreement with Cleveland Heights High School and Warrensville Heights High School permitting Shaker students to enroll in Career/Tech Prep courses offered at these two schools. Typically, participants spend part of their day at Shaker in core education and part of their day in the neighboring High School in career education. College Credit Plus: This program allows students, beginning in 7th grade, to complete their freshman year of college or more, or explore college content that interests them by taking college courses for which they earn both high school and college credit. Shaker students in grades 7-12 can apply for admission to any Ohio public or participating private college. The college will admit students based on college-readiness in one or more subject areas.